At Lakeview Dental, we offer a variety of options when it comes to the straightening of teeth. For patients looking for a discreet and convenient alternative to traditional braces, Invisalign® is an effective solution. Traditional braces can irritate some patient’s mouths as well as restrict the types of food you can eat. With Invisalign® treatment this is not the case. This innovative treatment offers many advantages over having braces. 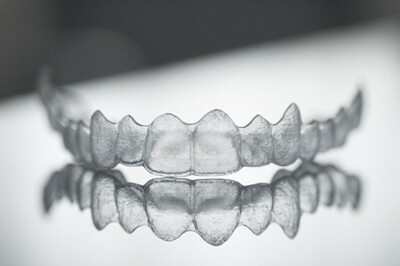 After an initial consultation with Dr. Adelakun, you will receive a series of transparent aligners. These aligners are changed every two weeks until your treatment is complete. Contact us today to schedule a consultation to find out if Invisalign® is the right solution for your orthodontic needs. Available for treatment of crowding, gaps, overbite, under-bite, cross-bite, and more. 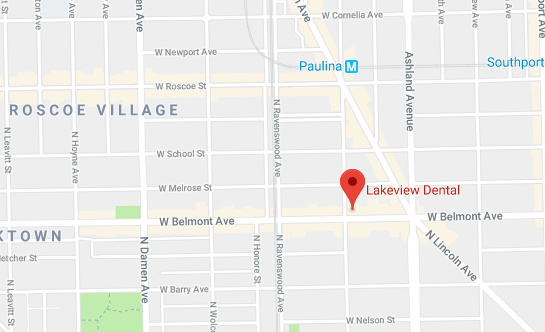 At Lakeview Dental in the Lake View and Roscoe Village area, our patients enjoy comfortable surroundings and the latest in technology. Invisalign® is an extension of that experience. Invisalign® takes the modern approach to straightening teeth and offers comfort that can’t be matched by braces. Many dentists and orthodontists offer Invisalign®, but most don’t give you the VIP treatment from the moment you walk in the door. At Lakeview Dental we are changing the way that patients feel about dentistry by offering amenities and benefits that you will find no where else.